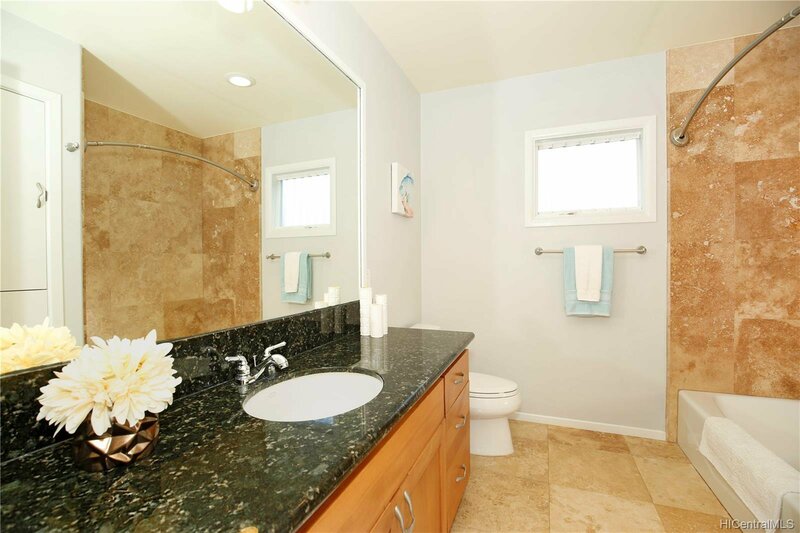 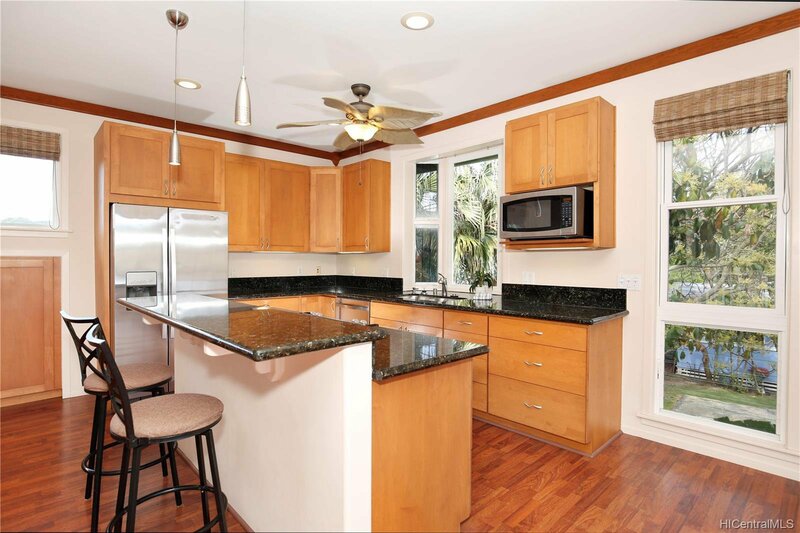 Beautifully designed custom home, down a private lane, with the perfect blend of elegance and practicality. 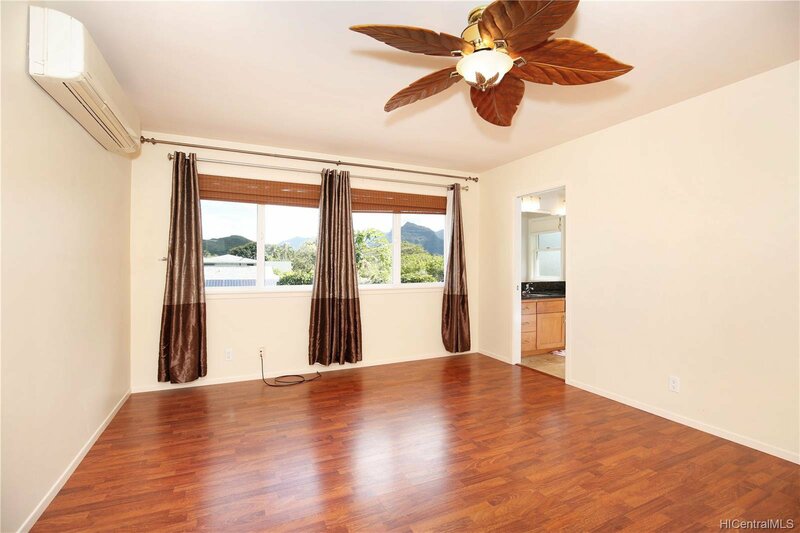 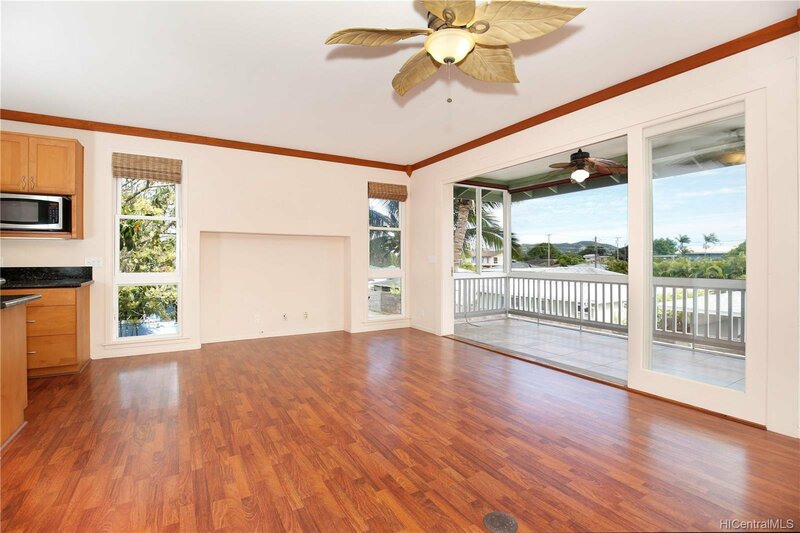 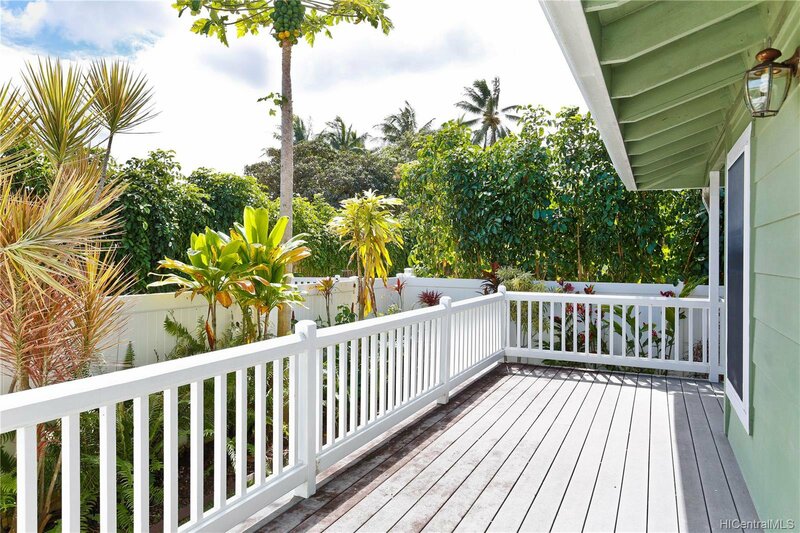 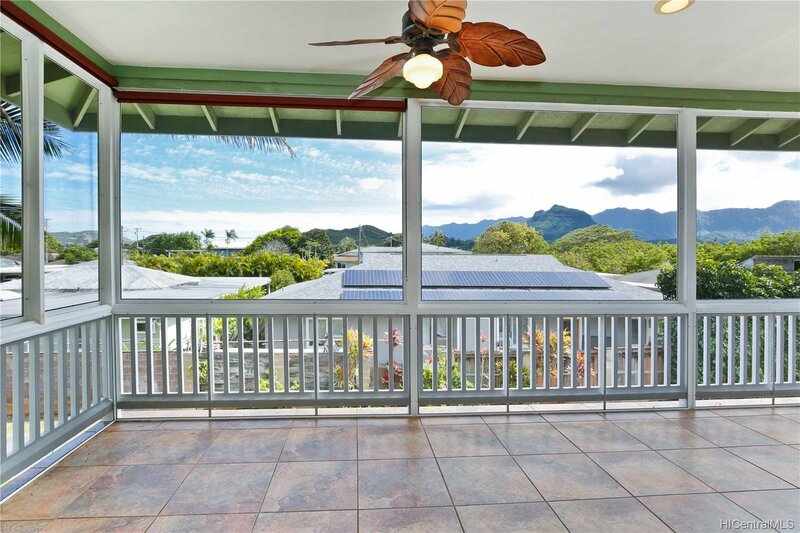 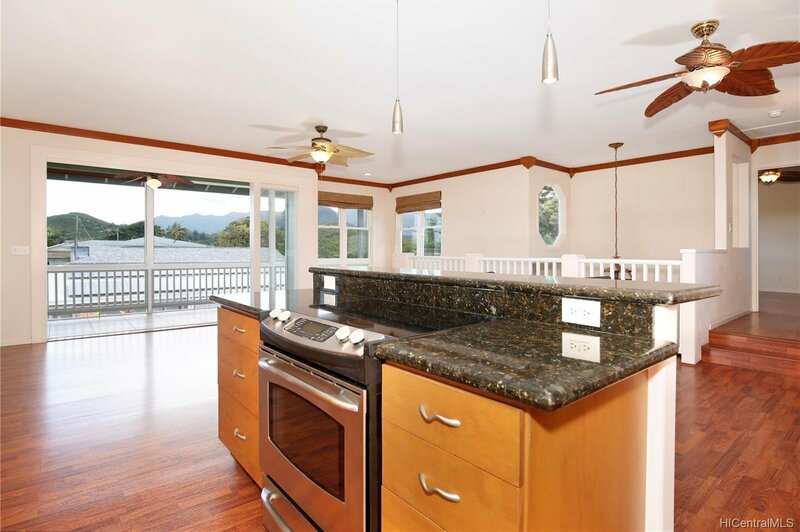 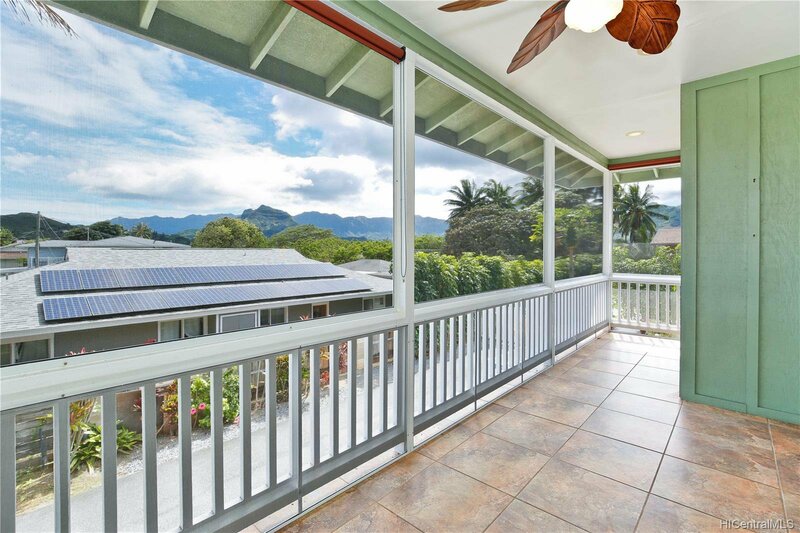 Enjoy the Ko’olau and Olomana mountain views and gentle trade winds from this Kailua getaway. 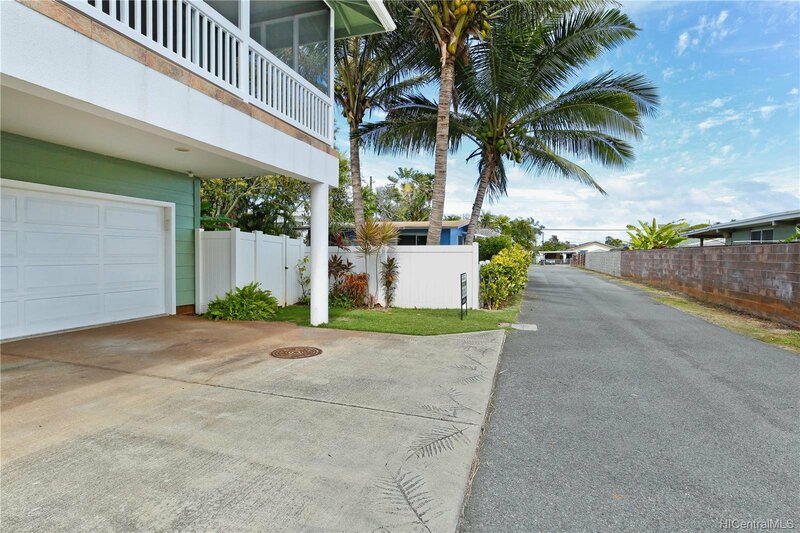 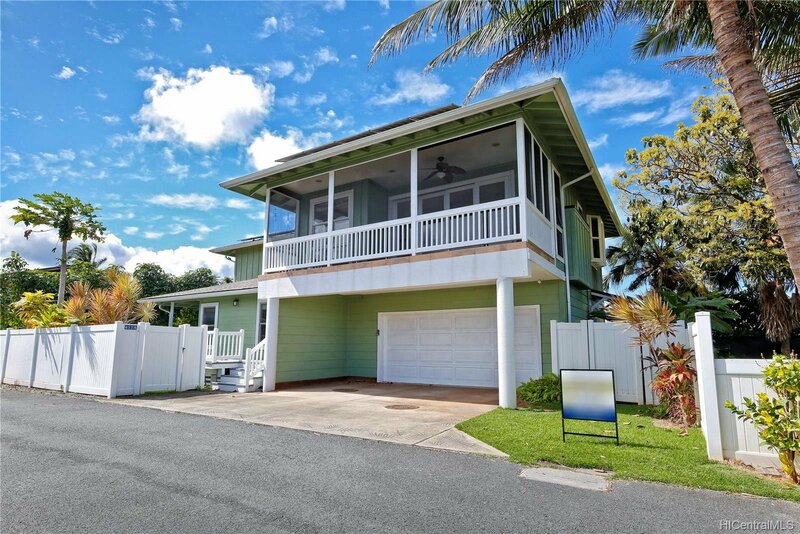 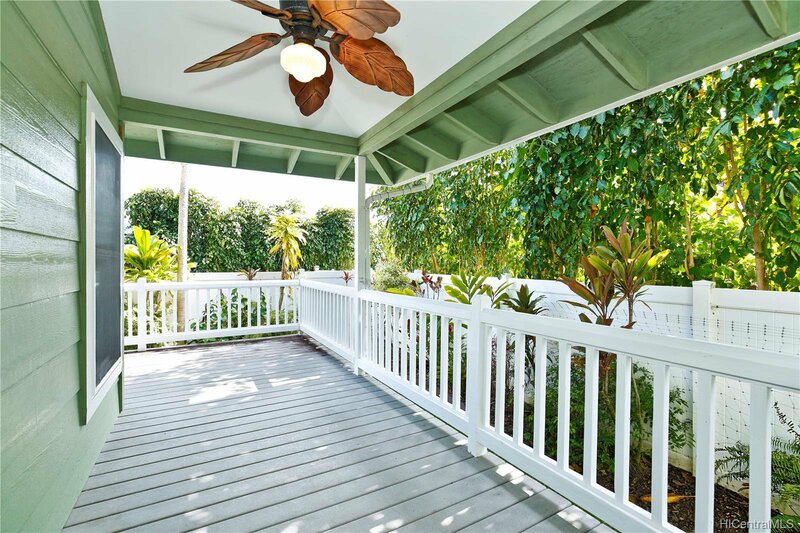 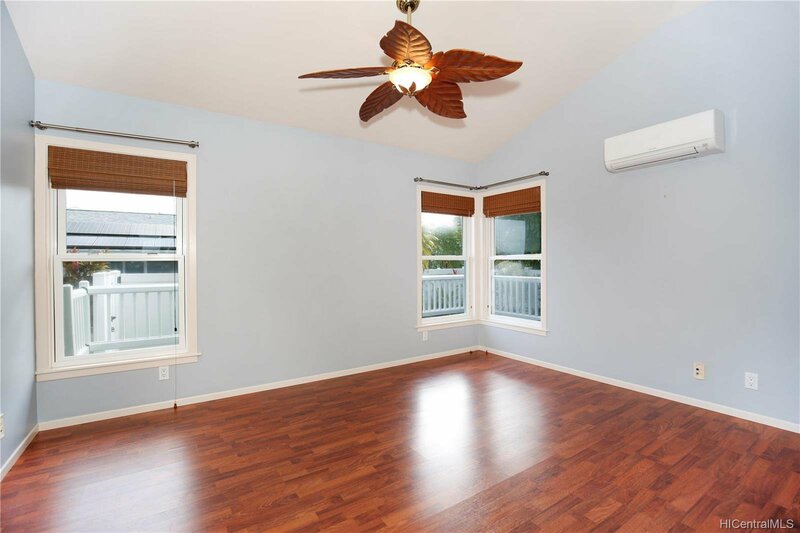 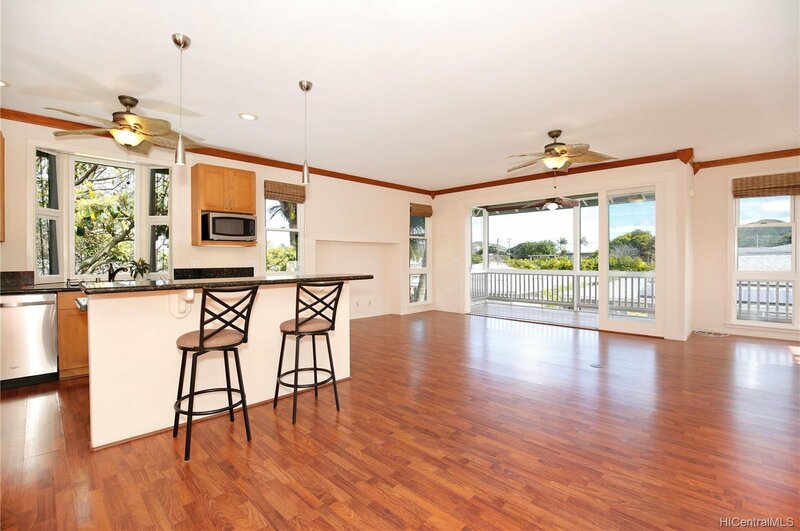 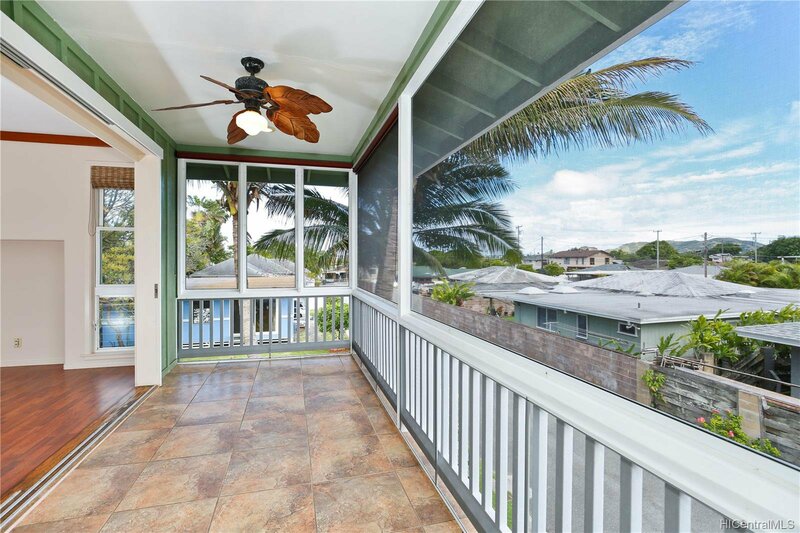 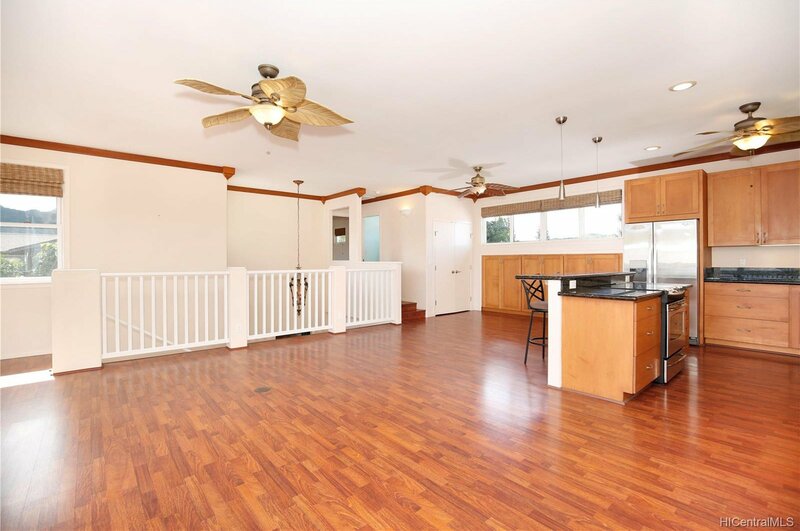 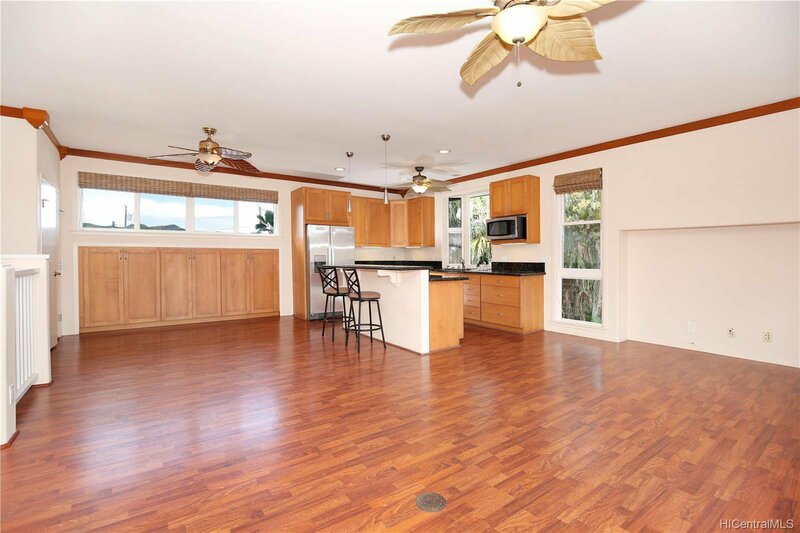 This detached home was designed for reverse living with the upper level consisting of the master bedroom suite, open living room, kitchen, powder room and glass stacking doors that lead to the peaceful screened in lanai. 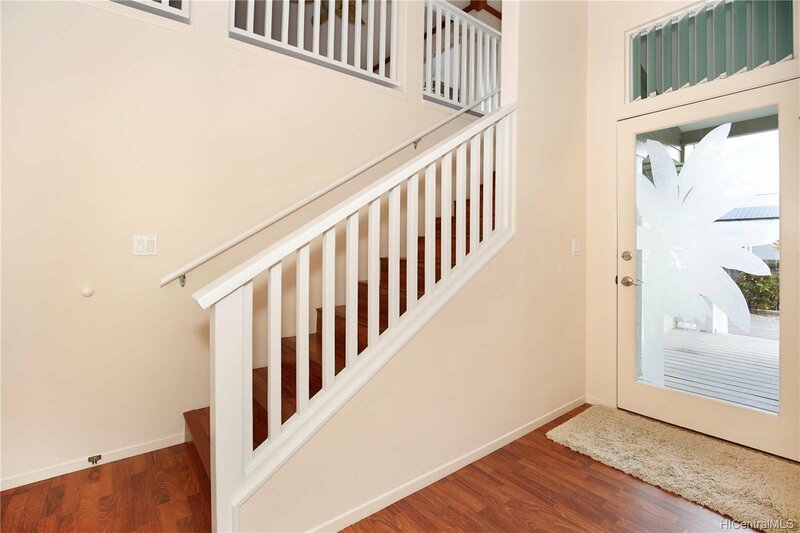 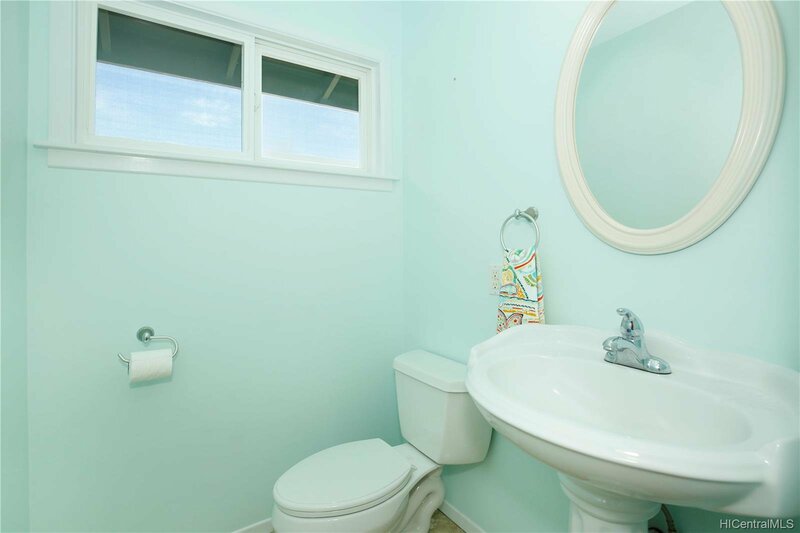 The bottom level entails two spacious bedrooms, one bath and a wrap around deck with a separate entry to one of the bedrooms. 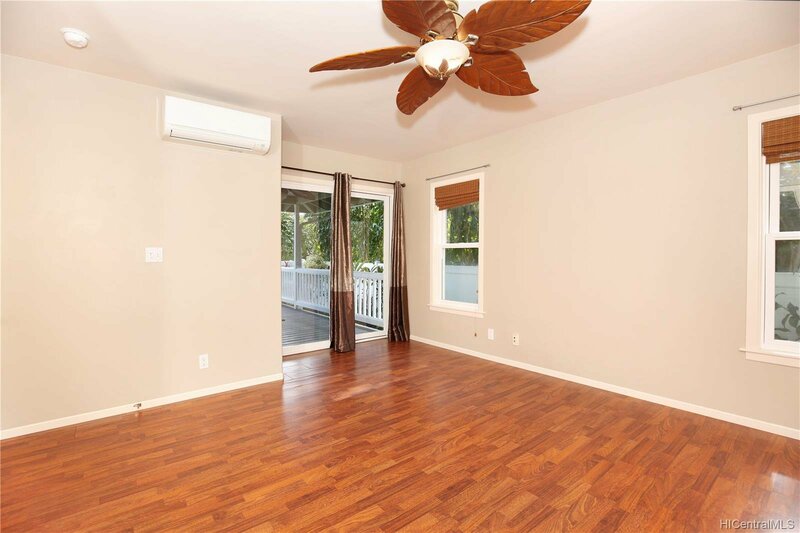 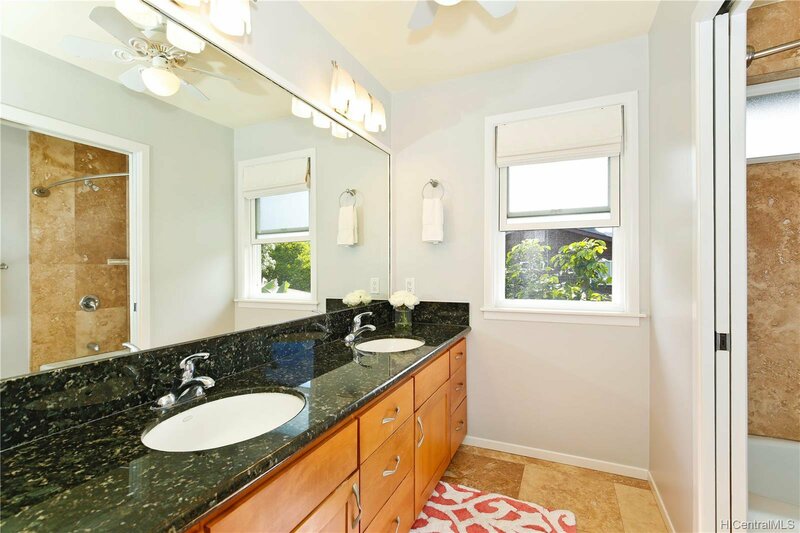 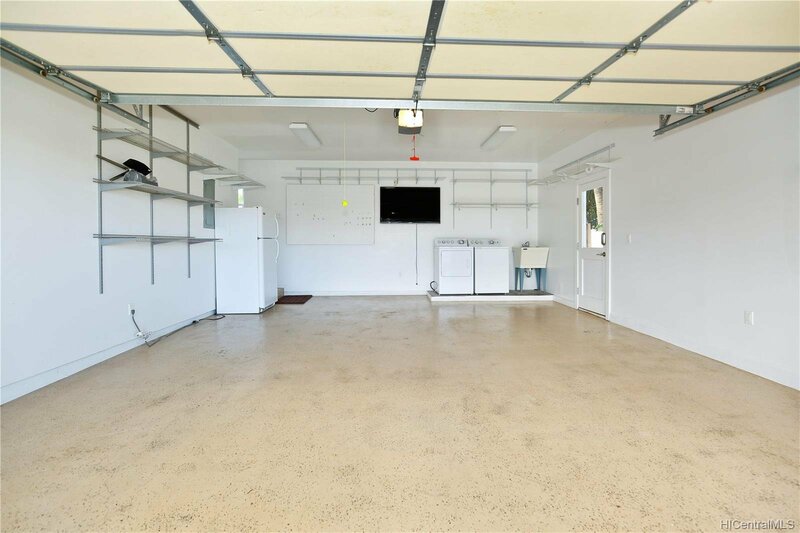 There is an over sized garage, carport, split A/C's in each bedroom, 29 panel PV system installed in 2012 (owned), solar water heater, storage galore, an outdoor shower and much more.